The intricate details on the face of the Cavalli gray accent cabinet's drawers make this piece a showstopper. It will keep your essentials classy and close by in your bedroom or next to your sofa. 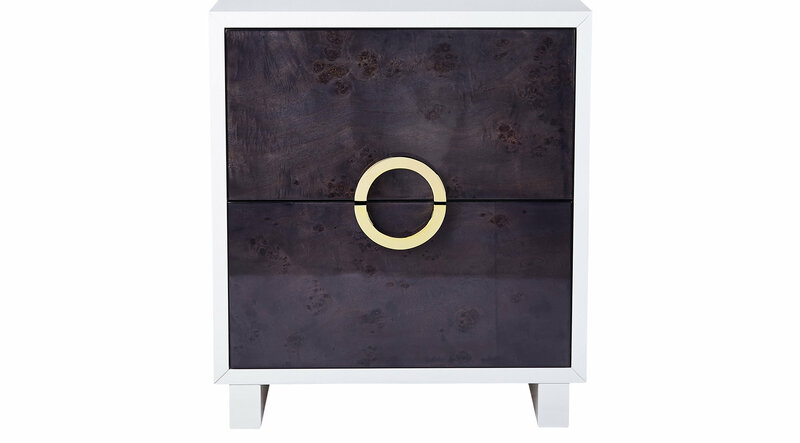 Featuring a gray burl lacquer finish and gold iron drawer handles, the Cavalli accent cabinet will make a stylish addition to any room in your home.